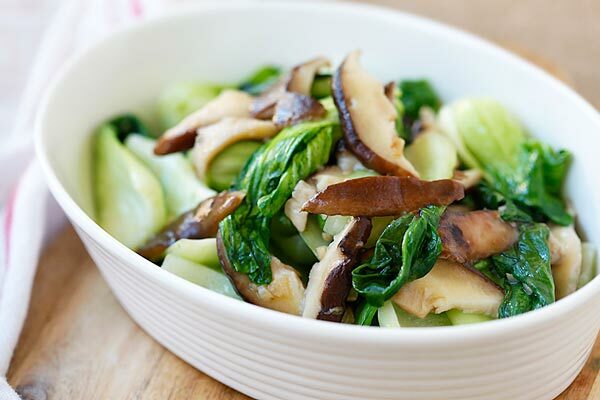 Mushrooms are big in flavour, but they’re also big in nutrients too! 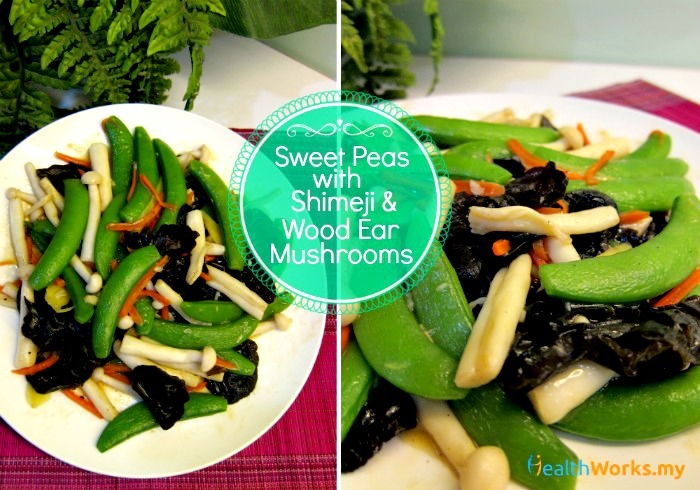 They are an excellent source of protein, fibre, have almost no fat and are low in calories. They’re also rich in B vitamins, folate as well as minerals like selenium and copper. It doesn’t hurt that mushrooms have a unique texture and rich flavour that adds a little something something to any dish, while being easy on the wallet (if you buy locally produced ones). 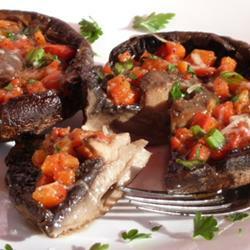 How can you make plain old grilled portobello better? Why, stuff them with a beautiful red pepper, garlic and black pepper mixture of course! Great flavour and beautiful colours, and so easy to prepare too! Recipe here. 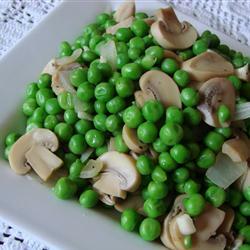 The combination of sweet peas and two types of mushrooms fills you up with nutrients – from dietary fiber to vitamins and essential minerals. Bonus: They taste amazing too! Recipe here. 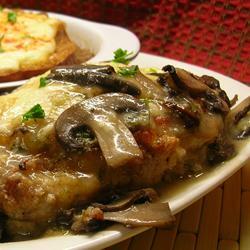 This is a simple recipe you could make using any kinds of mushrooms you have lying around. 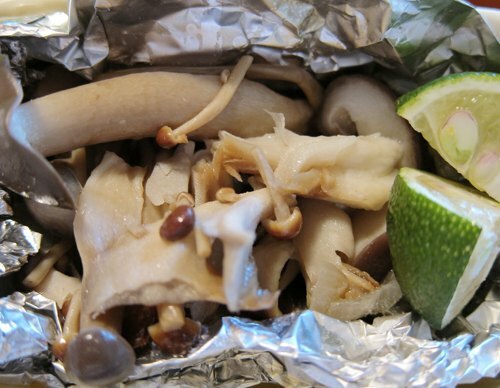 All you need to do is to shred up the bigger pieces of mushrooms, along with the smaller mushrooms, wrap them up in a foil with sake and soy sauce, and if you like, a little bit of grated ginger. Because mushrooms are naturally filled with the umami-factor, you’ll have a steaming hot pocket of flavour after just 20 mins in the oven! Recipe here. A perfect side dish for any meat you have (but especially good with steaks), this recipe is also incredibly fast and simple to make with only six ingredients (of which four are herbs and spices). 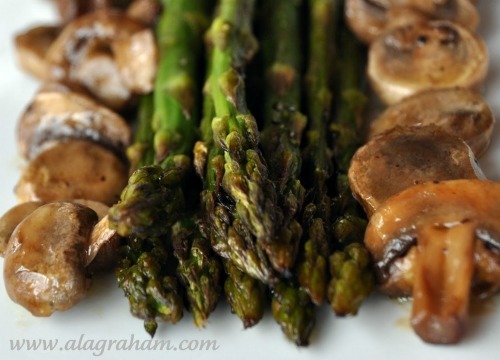 The mushrooms come out juicy and flavourful while the asparagus is crunchy yet tender, and the rosemary adds a lovely aroma to the entire dish. Get recipe here. Strapped for time? This recipe takes 5 minutes to prepare, and 5 minutes on the stove and then you’re done! If you want more flavour, you could also slice them up before frying, but that’ll take you a bit more time. Recipe here. The best recipes are always simple and with few ingredients, yet easy on the tastebuds. This recipe is one of those. 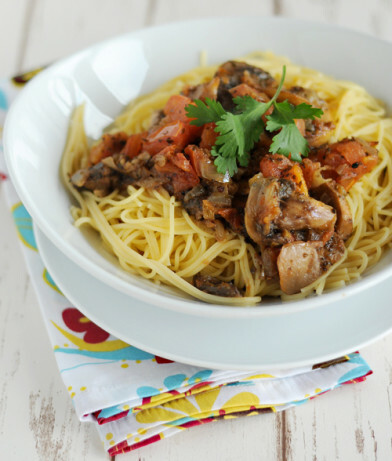 Using only simple, wholesome ingredients like fresh mushrooms and tomatoes, along with pepper, garlic, salt, Worcestershire sauce, onion and and parsley, this is your weekday dinner winner. Serve with wholegrain pasta. Recipe here. 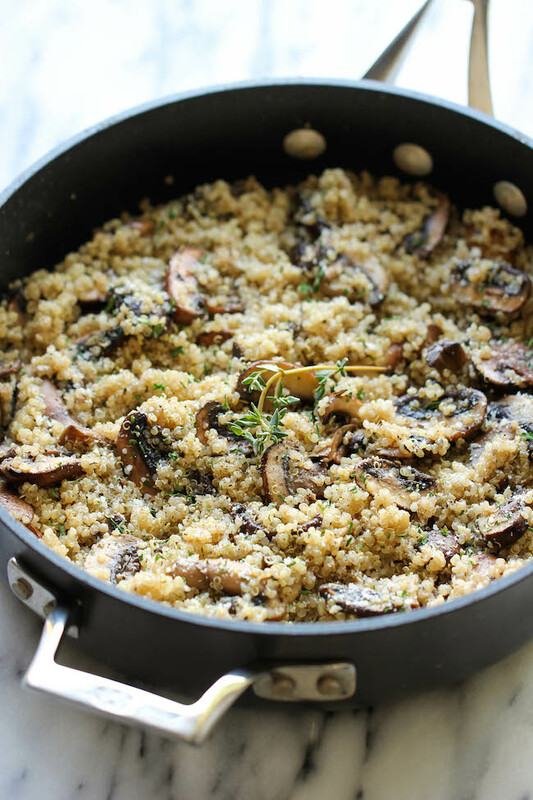 Garlic and mushrooms are a match made in heaven, and if you add quinoa into the mix, you’ll have a tri-factor of healthy awesomeness. The entire dish comes together in just half and hour, and tastes great as a lovely main dish on a lazy weeknight, or a great side dish for whatever mains you may be making. Recipe here. Coming together in just 10 minutes using only 3 ingredients, this recipe is as simple as it gets. You see this dish in most Chinese restaurants (albeit much oilier), but it’s just as delicious and easy to make it yourself at home! Recipe here. 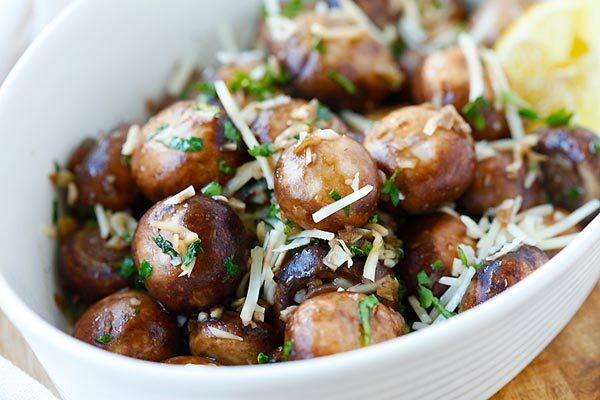 While the recipe calls for canned mushrooms, you can just as easily make this with fresh mushrooms and it’ll taste a million times better. Combined with the sweet chopped onions, the flavour-enhancing garlic, and some succulent green peas, this dish will taste great with chicken or fish, or even on its own! Recipe here. 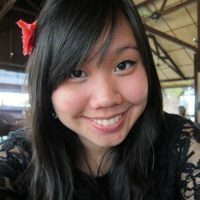 Looking for a delicious brunch or tea item to impress your guests (that takes only 10 minutes to prep)? This should fit the bill. 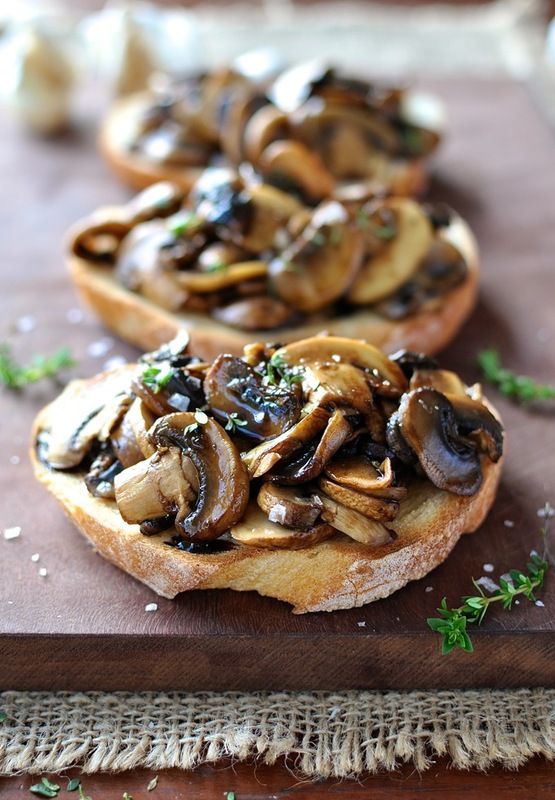 You can’t ask for a better topping for your toasted wholegrain baguette than mushrooms married with balsamic vinegar and thyme. Recipe here. The chicken is crisp thanks to the breadcrumbs, yet flavourful thanks to being baked in chicken broth for 30-35 minutes. This is a simple dish to throw together in under an hour and goes great with steamed broccoli or cauliflower. Recipe here. 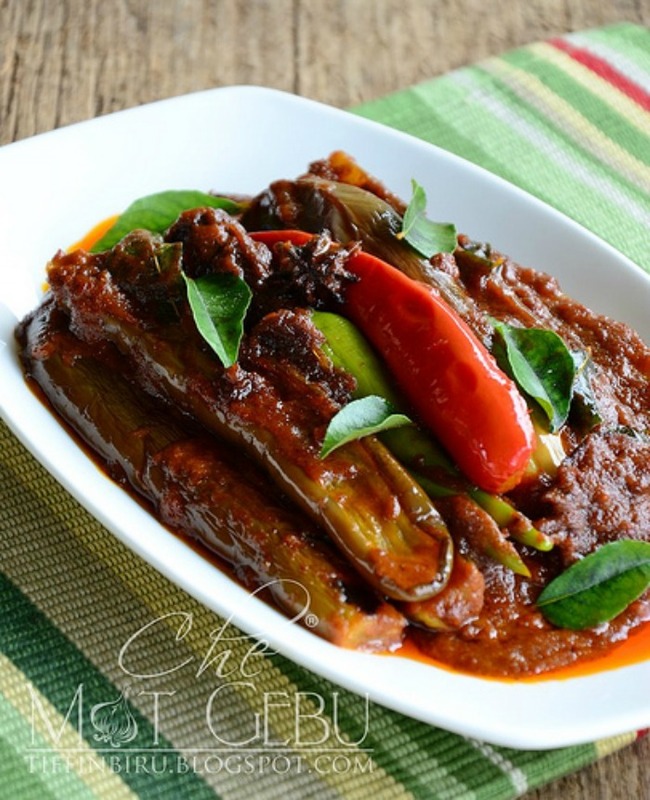 Low in glycemic index and grain-free, this is a dish for the clean eating enthusiasts. 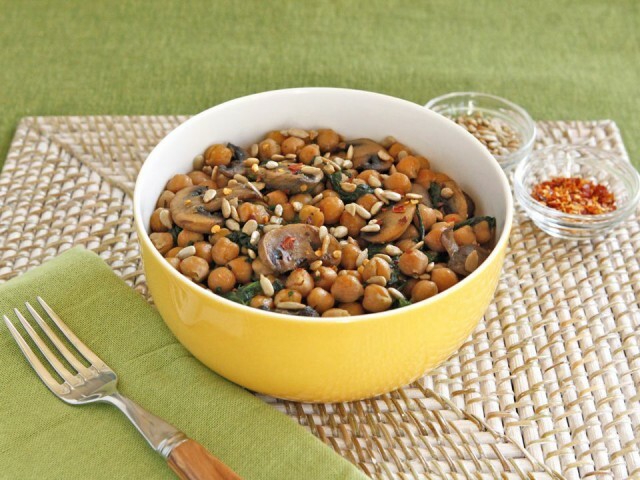 The chickpeas give the dish substance while the sauteed mushrooms and spinach add depths of flavour. Serve alone as a main or as a side dish. Recipe here. 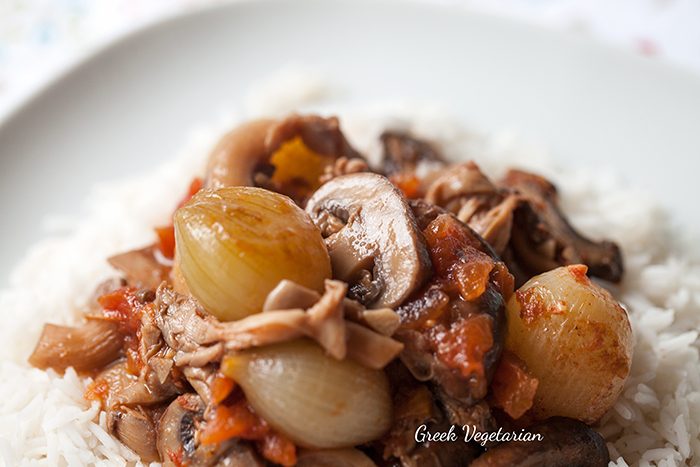 This Greek dish takes a little longer to prep but thanks to the time on the stove the robust flavours seep right into the mushrooms and onions. The recipe calls for white wine, but you can always substitute it with vegetable broth and it’ll taste just as good. Serve over brown rice. Recipe here. 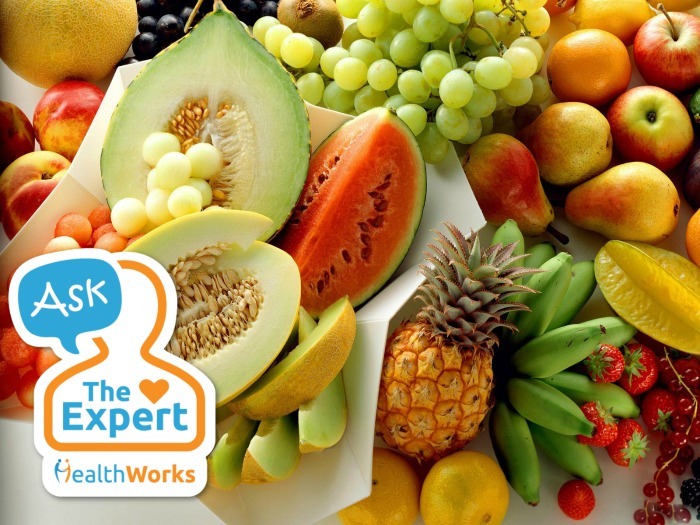 Ask the Expert: Is it True that We are Advised to Eat Fruits Before Meals?